Attend the 2017 Edna Staebler Award for Creative Non-Fiction events on Laurier’s Waterloo and Brantford campuses to find out what life as a published author looks like. 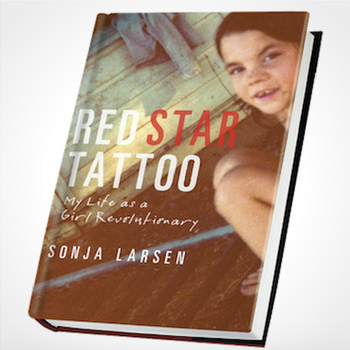 Canadian author Sonja Larsen will receive the award for her memoir, Red Star Tattoo: My Life as a Girl Revolutionary (Random House Canada). Red Star Tattoo is a compelling story of the writer’s unconventional and transient youth, as well as her personal experience in counterculture organizations, including her association with a clandestine wing of the Communist Party USA. Thursday, Nov. 9 from 3:30 – 5 p.m.: Larsen’s award will be presented followed by a book reading in the Robert Langen Art Gallery and Library on the Waterloo campus. Friday, Nov. 10 from 11:30 a.m. – 1 p.m.: a meet and greet with Larsen will be held in room CB 100 (Reid Lounge) of the Carnegie Building at the Brantford campus. Larsen’s book will be available for purchase at both events. The Edna Staebler Award for Creative Non-Fiction was established and endowed in 1991 by writer and award-winning journalist Edna Staebler. Laurier is the only Canadian university to grant a nationally recognized literary award. The $10,000 award encourages and recognizes Canadian writers for a first or second work of creative non-fiction that includes a Canadian locale and/or significance.